I heard a story recently that troubled me about a girl getting fired from a chiropractic office because her “appearance made some obese and elderly patients uncomfortable.” She’s a normal looking girl who happens to be in awesome shape. So, she basically got fired for being fit. Her story upset me on so many levels and really got me thinking about Leadership. Before we get started, lets define leadership. Leadership is a process by which a person influences others to accomplish an objective and directs the organization in a way that makes it more cohesive and coherent. This definition is similar to Northouse’s (2007, p3) definition — Leadership is a process whereby an individual influences a group of individuals to achieve a common goal. Different people require different styles of leadership. For example, a new hire requires more supervision than an experienced employee. A person who lacks motivation requires a different approach than one with a high degree of motivation. You must know your people! The fundamental starting point is having a good understanding of human nature, such as needs, emotions, and motivation. You must come to know your employees’ be, know, and do attributes. Also note that the situation normally has a greater effect on a leader’s action than his or her traits. This is because while traits may have an impressive stability over a period of time, they have little consistency across situations (Mischel, 1968). 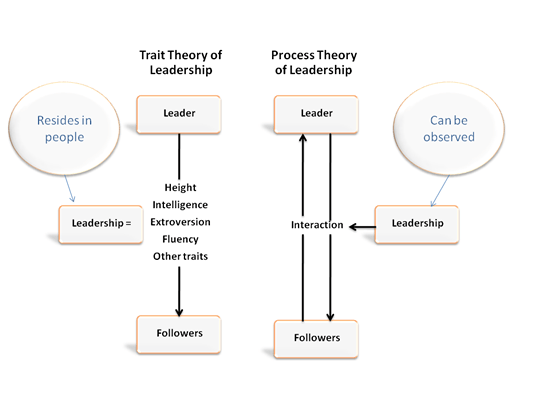 This is why a number of leadership scholars think the Process Theory of Leadership is a more accurate than the Trait Theory of Leadership. Although your position as a manager, supervisor, lead, etc. gives you the authority to accomplish certain tasks and objectives in the organization (called Assigned Leadership), this power does not make you a leader, it simply makes you the boss (Rowe, 2007). Leadership differs in that it makes the followers want to achieve high goals (called Emergent Leadership), rather than simply bossing people around (Rowe, 2007). Thus you get Assigned Leadership by your position and you display Emergent Leadership by influencing people to do great things. Some personality traits may lead people naturally into leadership roles. This is the Trait Theory. A crisis or important event may cause a person to rise to the occasion, which brings out extraordinary leadership qualities in an ordinary person. This is the Great Events Theory. People can choose to become leaders. People can learn leadership skills. This is the Transformational or Process Leadership Theory. It is the most widely accepted theory today and the premise on which this guide is based. When a person is deciding if she respects you as a leader, she does not think about your attributes, rather, she observes what you do so that she can know who you really are. She uses this observation to tell if you are an honorable and trusted leader or a self-serving person who misuses authority to look good and get promoted. Self-serving leaders are not as effective because their employees only obey them, not follow them. They succeed in many areas because they present a good image to their seniors at the expense of their workers. what they do (such as implementing, motivating, and providing direction). Trust and confidence in top leadership was the single most reliable predictor of employee satisfaction in an organization. Sharing information with employees on both how the company is doing and how an employee’s own division is doing — relative to strategic business objectives. So in a nutshell — you must be trustworthy and you have to be able to communicate a vision of where the organization needs to go. The next section, Principles of Leadership, ties in closely with this key concept. BE a professional who possess good character traits. Examples: Honesty, competence, candor, commitment, integrity, courage, straightforwardness, imagination. Every organization has a particular work environment, which dictates to a considerable degree how its leaders respond to problems and opportunities. This is brought about by its heritage of past leaders and its present leaders. The goals and performance standards they establish. The values they establish for the organization. The business and people concepts they establish. Successful organizations have leaders who set high standards and goals across the entire spectrum, such as strategies, market leadership, plans, meetings and presentations, productivity, quality, and reliability. Values reflect the concern the organization has for its employees, customers, investors, vendors, and surrounding community. These values define the manner in how business will be conducted. These goals, values, and concepts make up the organization’s personality or how the organization is observed by both outsiders and insiders. This personality defines the roles, relationships, rewards, and rites that take place. Roles are the positions that are defined by a set of expectations about behavior of any job incumbent. Each role has a set of tasks and responsibilities that may or may not be spelled out. Roles have a powerful effect on behavior for several reasons, to include money being paid for the performance of the role, there is prestige attached to a role, and a sense of accomplishment or challenge. Relationships are determined by a role’s tasks. 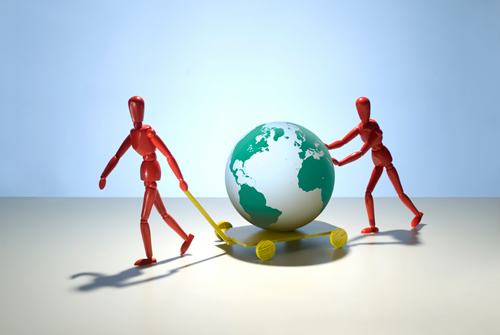 While some tasks are performed alone, most are carried out in relationship with others. The tasks will determine who the role-holder is required to interact with, how often, and towards what end. Also, normally the greater the interaction, the greater the liking. This in turn leads to more frequent interaction. In human behavior, its hard to like someone whom we have no contact with, and we tend to seek out those we like. People tend to do what they are rewarded for, and friendship is a powerful reward. Many tasks and behaviors that are associated with a role are brought about by these relationships. That is, new task and behaviors are expected of the present role-holder because a strong relationship was developed in the past, either by that role-holder or a prior role-holder. There are two distinct forces that dictate how to act within an organization: culture and climate. Each organization has its own distinctive culture. It is a combination of the founders, past leadership, current leadership, crises, events, history, and size (Newstrom, Davis, 1993). This results in rites: the routines, rituals, and the “way we do things.” These rites impact individual behavior on what it takes to be in good standing (the norm) and directs the appropriate behavior for each circumstance. How well does the leader clarify the priorities and goals of the organization? What is expected of us? What is the system of recognition, rewards, and punishments in the organization? Are leaders free to make decisions? Organizational climate is directly related to the leadership and management style of the leader, based on the values, attributes, skills, and actions, as well as the priorities of the leader. Compare this to “ethical climate” — the feel of the organization about the activities that have ethical content or those aspects of the work environment that constitute ethical behavior. The ethical climate is the feel about whether we do things right; or the feel of whether we behave the way we ought to behave. 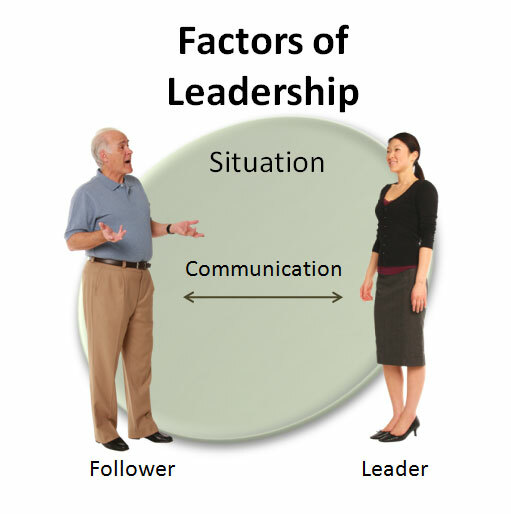 The behavior (character) of the leader is the most important factor that impacts the climate. On the other hand, culture is a long-term, complex phenomenon. Culture represents the shared expectations and self-image of the organization. The mature values that create tradition or the “way we do things here.” Things are done differently in every organization. The collective vision and common folklore that define the institution are a reflection of culture. Individual leaders, cannot easily create or change culture because culture is a part of the organization. Culture influences the characteristics of the climate by its effect on the actions and thought processes of the leader. But, everything you do as a leader will affect the climate of the organization. Challenge the process – First, find a process that you believe needs to be improved the most. Inspire a shared vision – Next, share your vision in words that can be understood by your followers. Enable others to act – Give them the tools and methods to solve the problem. Model the way – When the process gets tough, get your hands dirty. A boss tells others what to do, a leader shows that it can be done. Encourage the heart – Share the glory with your followers’ hearts, while keeping the pains within your own. Bass, Bernard (1990). From transactional to transformational leadership: learning to share the vision. Organizational Dynamics, 18, (3), Winter, 1990, 19-31. Ivancevich, J., Konopaske, R., Matteson, M. (2007). Organizational Behavior and Management. New York: McGraw-Hill Irwin. Jago, A. G. (1982). Leadership: Perspectives in theory and research. Management Science, 28(3), 315-336. Kouzes, James M. & Posner, Barry Z. (1987). The Leadership Challenge. San Francisco: Jossey-Bass. Lamb, L. F., McKee, K. B. (2004). Applied Public Relations: Cases in Stakeholder Management. Mahwah, New Jersey: Lawrence Erlbaum Associates. Routledge. Mischel, W. 1968. Personality and Assessment . New York: Wiley. Newstrom, J. & Davis, K. (1993). Organization Behavior: Human Behavior at Work. New York: McGraw-Hill. Stogdill, R. M.(1989). Stogdill’s Handbook of Leadership: A Survey of Theory and Research. Bass, B. (ed.) New York: Free Press. U.S. Army. (October 1983). Military Leadership (FM 22-100). Washington, DC: U.S. Government Printing Office.